Arranged over four floors, this stunning townhouse boasts a large open plan reception room with a dining area and the eat-in kitchen comes fully fitted with Miele appliances and benefits from a separate utility room and cloakroom. An enviable master bedroom covers the whole of the top floor with a dressing room and en suite bathroom. 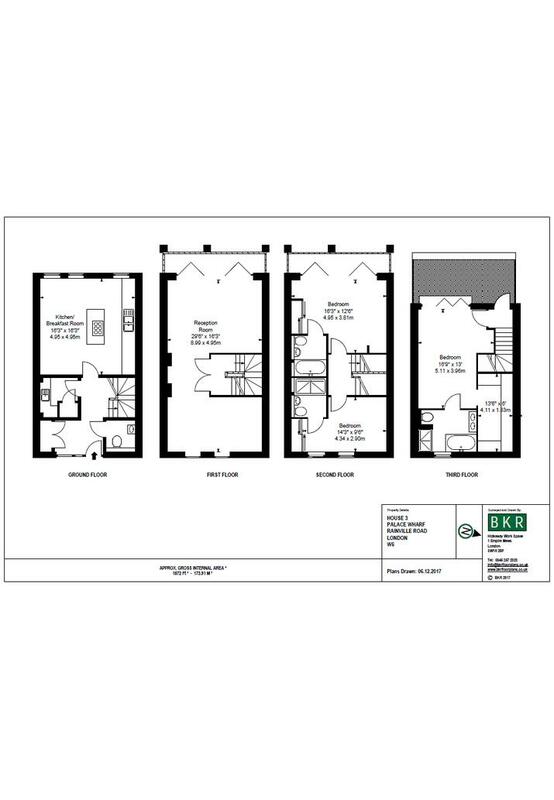 Two further double bedrooms and two more en suite bathrooms make this the ideal family home. Three balconies across different stories provide fantastic views across the Thames and a Creston Home Automation System controls lighting and temperature throughout the property. 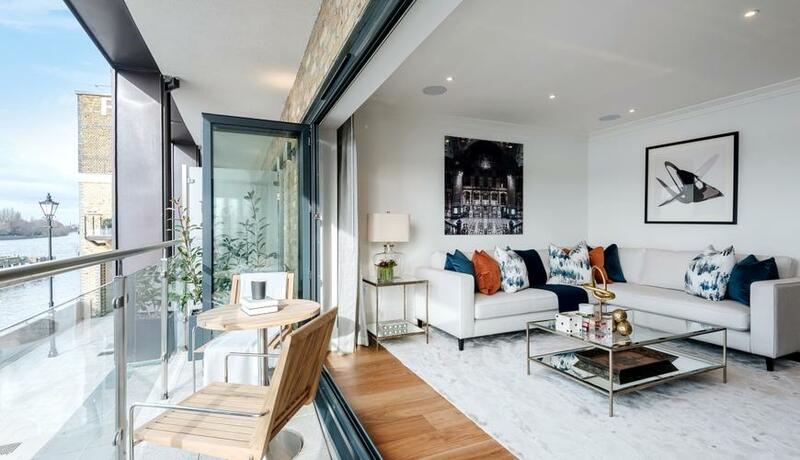 One of the most desirable riverside developments with beautiful views of River Thames, Palace Wharf is contemporary, quiet and vibrant riverside community. The property is ideally located close to Hammersmith Underground Station and is nearby to the amenities of Fulham Palace Road.